APA-Lilongwe (Malawi) — At least three people have been killed and up to a dozen others injured in a landslide in northern Malawi, local media reported on Sunday. APA-Lusaka (zambia) — A police officer in the Zambian capital Lusaka is on the run after going on a deadly shooting spree on Saturday. All ten ZANU PF provinces passed votes of no confidence against President Robert Mugabe on Friday, paving the way for his recall by the ruling party on the grounds that he is too old and incapacitated to lead Zimbabwe, according to the privately run NewsDay . In a newsflash on Friday, the newspaper said the ZANU PF provincial committees wanted Mugabe recalled during the party’s forthcoming elective congress. 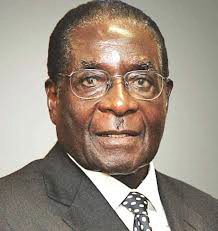 The recall will mean that the veteran leader, 93, will be removed as ZANU PF president but he will remain head of state since that position is only determined through a nationwide election that is not limited to his party alone. According to sources, all the provinces also demanded the expulsion of First Lady Grace Mugabe, Higher Education Minister Jonathan Moyo, Local Government Minister Saviour Kasukuwere and Finance Minister Ignatius Chombo – the alleged kingpins of a faction that is accused of trying to “destroy the party from within”. The move follows an event-filled week in which the army placed Mugabe and his family under house arrest. It also comes as some of Mugabe’s regional colleagues have started to call on him to leave office in a dignified manner. Botswana President Ian Khama told news agencies that Mugabe should end his attempts to remain in office after the military seized power this week “as he has no regional diplomatic support to stay in power”. “I don’t think anyone should be President for that amount of time. We are Presidents, we are not monarchs. It’s just common sense,” Khama told Reuters on Friday. The Southern African Development Community has called an emergency summit of heads of state and government to discuss the Zimbabwean crisis. React to this article Your e-mail address will not be published.